Based on the prestigious quality of our work for over 20 years Dave Warwick has gained the enviable reputation for providing a highly professional and personal service to our customers across these United States with a large portion of our work coming from personal recommendations! So if you’re looking For The BEST in Quality Aerial Photography at Reasonable Prices call or email us TODAY and one of our friendly, professional team will be happy to help. 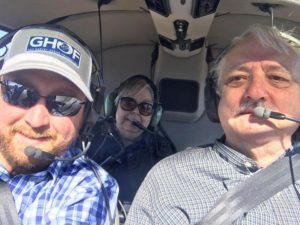 A pilot since 1968, Dave has been an aerial photographer since 1997. He continuously strives for a spirit of excellence in the quality of his work and in the service he gives to each and every customer. Dave is an active, contributing member of Aerial Pro, a world wide organization of professional aerial photographers. Dave Warwick, The Aerial Photographer™ is committed to providing the best in commercial aerial and construction progress photography. 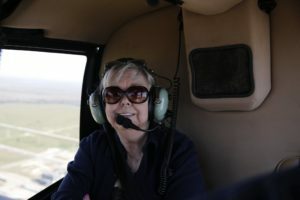 Based near Tulsa, Oklahoma, Dave is centrally located to provide aerial photography services throughout the midwestern United States, including, Oklahoma, Texas, Missouri, Arkansas, Kansas, and more. Using the latest digital equipment, he provides the highest quality photography at the best value in the Midwest! Providing his customers with unequalled quality and service is his number one goal. Through his association with Aerial Pro™ he offers aerial photography from locales worldwide. Contact Dave for details. He also offers same day service (when possible) for those last minute needs! Dave and Millie were married on April 1st, 1968 in Houston, Texas. They met in Port Arthur, Texas in September of 1965. Dave was a shoe salesman and he went to his favorite men’s hairstyling salon (where Millie was a hairstylist) to get his hair cut. Unknown to Dave and Millie, the shoe shine man had decided that they should be a couple and had made arrangements with Dave’s favorite barber and the receptionist to set it up so that there had been a mix up in the appointment schedule and that his barber had gotten overbooked. They convinced Dave to let Millie cut his hair and the rest is history. It was love at first sight! Their first date was the movie Fantastic Voyage (August 1966). During a scary part of the movie, Millie jumped and Dave comforted her by grabbing her hand and then sat through the movie a second time (you could do that back in the 60’s), still holding hands all the way through it. And they have been holding hands ever since. Dave and Millie have two sons: David, born August 24th, 1969 and Chris, born November 4th, 1971. They also have two beautiful daughter-in-laws, Lisa and Traci. David and Lisa have a son, Jacob, and daughter, Sierra Nichole. David retired from 17 years in the United States Navy and now does important computer work for the Air Force. Chris and Traci have three daughters: Makayla, Caitlin, Emma, and two sons, Caden and Chance. Chris works at sales for insulating commercial buildings. Traci is an elementary school teacher. Dave and Millie have always done everything together and continue to do so today. Thank you for visiting our web site. We hope you enjoy your stay here and will visit us often as we continue to update you on what we are doing.